Our relationship-focused team is dedicated to building trust through honesty, professionalism, and exceeded expectations. Bob applies more than 25 years of investment experience to the distinctive roster of families he serves. A recognized industry leader, Bob was named to the Financial Times 400 Top Financial Advisers, Barron’s Top Independent Advisors, and Forbes’ Best In State Wealth Advisors. 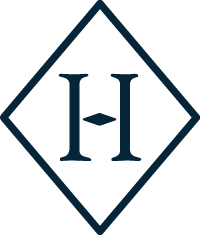 Prior to founding Harrell Investment Partners in 2019, Bob spent 20 years as Managing Director and Senior Vice President, Investments at Raymond James & Associates, Inc. He started his advisory career with Merrill Lynch where he was a Vice President and Senior Financial Adviser. Bob holds professional designations as a Wealth Management Specialist (WMS) and Certified Estate Planner (CEP). He earned a bachelor’s degree in economics from the University of Texas at Austin. An active member of his community, Bob currently serves on the board of the West Austin Youth Association (WAYA). He is a member of Helping Hand Circle of Hope, Dell Children’s Council and the Admirals Club of Austin. Bob is an avid golfer and lives in Austin with his wife, Karen, and their children, Grace and Wesley. With over 20 years of financial services experience, Anna utilizes her skills and expertise to help individuals and families navigate the complexities of their financial lives. Anna began her career with MONY Life Insurance Company in 1996. Prior to joining Harrell Investment Partners, LLC, Anna served as Branch Manager and First Vice President, Investments with Raymond James & Associates, Inc. for eight years. She holds the professional designation of Accredited Asset Management Specialist (AAMS℠). Anna is passionate about serving her community through her work on the advisory board of Literacy First and on the philanthropy committee of Texas Women of Wall Street. Anna was born, raised, and currently lives in Austin, Texas with her husband Donovon and their two daughters, Alexa and Ava. In addition to spending time with her family, Anna loves watching movies, the Dallas Cowboys, and playing golf. Eva began her career with A.G. Edwards over 12 years ago and joined Bob at Raymond James & Associates, Inc. in 2015. During her tenure, she has proven her ability to anticipate client needs and provide the exceptional customer service our clients expect. She enjoys getting to know each client on a personal level and is known as the “go-to person” on the team. Eva enjoys running with Gilbert’s Gazelles, listening to live music with her friends and watching football with her husband (when he’s cheering for the right team). Originally from a small town in Mississippi, Eva lives in East Austin with her husband, Johnnie, and their dogs, Duke and Duchess. Brooke brings over 10 years of experience in the industry with a focus on service and operations. She became part of Bob’s team at Raymond James and Associates, Inc in 2018. What Brook enjoys most about her work is helping clients. Her service orientation is a perfect fit for the Harrell Investment Partners family. As a military daughter, Brooke has lived all over the South, but has called Austin home for over eight years. In her spare time, she enjoys spending time with her family, friends and her dog Mabel as well as practicing yoga.